This first phase of a long term building program included 43,000-SF of new construction on an undeveloped 13-acre site. The new building marked a milestone in the Colorado Springs Fire Department’s history, for the first time locating the administration and training functions within the same facility. 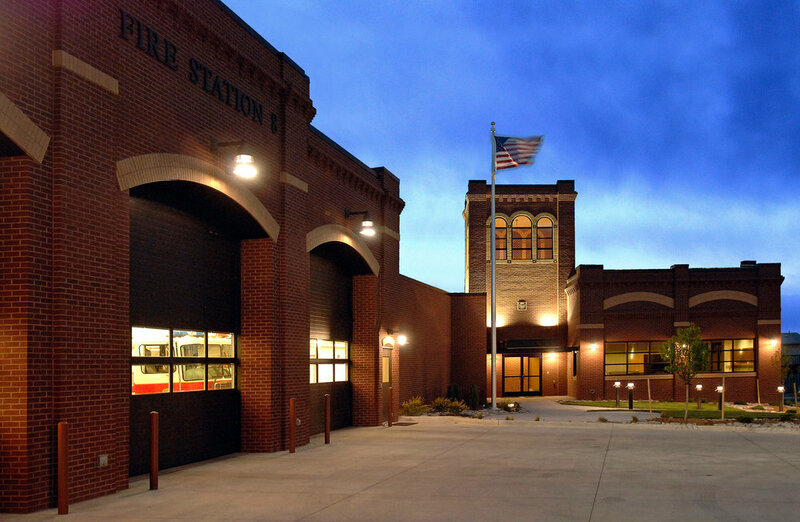 The Colorado Springs Fire Department places a high value on its relationship with the community and sought to reinforce that connection with the new building. This was accomplished by creating a 3,000 SF museum along the prominent public side of the building to house the department’s collection of historic artifacts. The low-e glazing protects the memorabilia while providing a “lantern” effect at night. 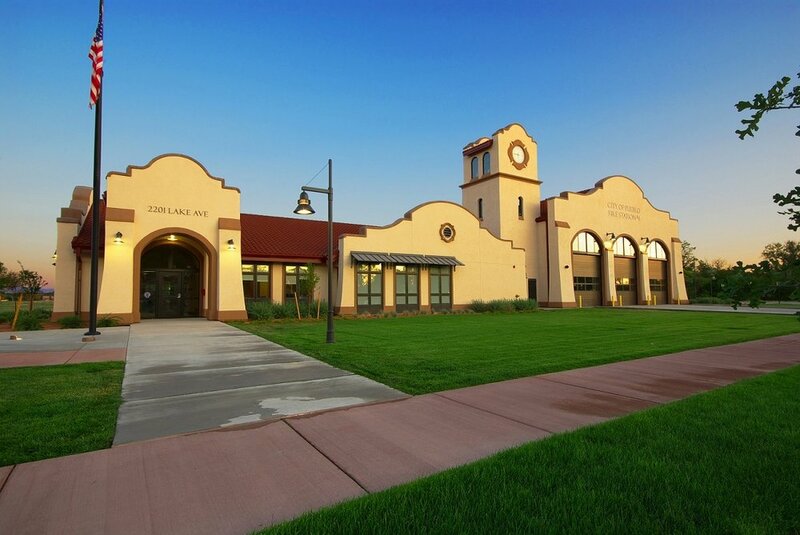 Within a limited budget and challenging site constraints, the design team consolidated multiple Fire Department functions and produced a striking design that elevates the departments’ training and administrative functions profile within the city. Budget restrictions resulted in a hierarchy of design elements: Materials could not be extravagant, yet the front elevation received a higher level of finish for optimum visual presence. Training, a typically “dirty” component of the fire department, was relegated to the back of the facility, yet the 4-story training tower in the very center of the 13-acre site will be the main focal point for the site. Sensitive incorporation of this vital training element was critical to its acceptance by the neighborhood community.